For the first time in the event’s 50-year history, the WSF Men‘s World Team Squash Championship will be staged in the USA in 2019. 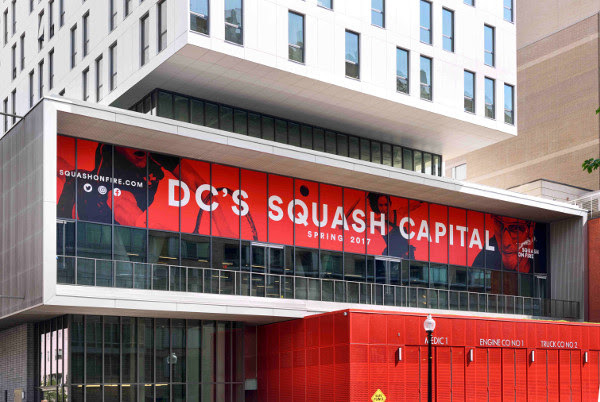 The biennial World Squash Federation championship will be held, under the auspices of US Squash, at Squash On Fire, the new state-of-the-art membership-free facility in Washington, DC, from 15th to 21st December. Since its launch in 1967 in Australia, the Men‘s World Team Championship has been staged in 12 countries – including Canada in 1977 – but never before in the USA. USA has competed in the championship each year since first recording a fifth-place finish in the 1973 event in South Africa. Squash On Fire, a superb new ‘pay to play’ facility which opened in May above Washington‘s newest fire station, boasts eight squash courts, including an all-glass showcourt and a full service restaurant and bar. WSF President Jacques Fontaine also expressed his delight in the initiative: “The United States is a very strong and growing squash nation, so it is very fitting that they have the opportunity to host this Championship. I am sure that the visiting teams will have a great experience at the venues and the American capital generally.